Neonatal hyperbilirubinemia is the most common complication occurring among nearly 70% of all newborns that generally does not require medical assistance and resolves itself by the first week of infant’s life. Neonatal hyperbilirubinemia becomes possible due to 2 main factors, namely, infants’ red blood cells’ shorter life span and immaturity of the newborns’ digestive system which is unable to efficiently excrete high levels of bilirubin. 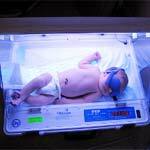 Bilirubin phototherapy is considered the primal and most effective neonatal jaundice treatment. 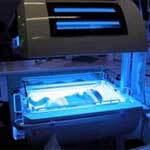 During bilirubin phototherapy an undressed infant is exposed to bright blue lights that are proven to help process higher than normal bilirubin levels in newborns. Protective eye shield is recommended to guard delicate baby’s eyes from harsh phototherapy lights and avoid retina damage. Normal Bilirubin Levels in Newborns – Why Can They Be Different? Normal bilirubin levels in newborns are calculated and assessed based on a number of various factors like baby’s age, whether the baby was born pre- or full term and presence of any illnesses at birth. 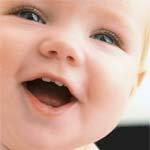 Generally, normal bilirubin levels in newborns that are overall healthy peak on the second to fourth days. This is expected and not alarming, however, close monitoring of higher than normal bilirubin levels in newborns is performed to make sure they taper off over the course of a few days.